How many Bay Area place names have you been mispronouncing? Accent marks are missing in place names all over the Bay Area. Many neighborhoods and streets are named after Spanish explorers. Some of those names once had accent marks. But now, without them, we don’t know if we’re saying them right. In this news story at KALW, you can listen to the different ways residents pronounce the name of their neighborhood in San Francisco. And find out about the history of San Francisco’s Portola district. 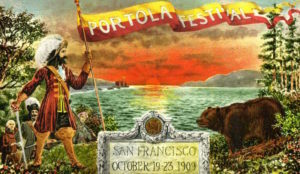 Don Gaspar de Portola was a Spanish explorer. Historians believe he discovered the San Francisco Bay in the 1700s. He was also the first Governor of Spanish-ruled California, before it was a state. After the miners struck gold and San Francisco rapidly grew, most people living here didn’t know about Portola. And those that did, forgot about him. How did a neighborhood end up named after him?